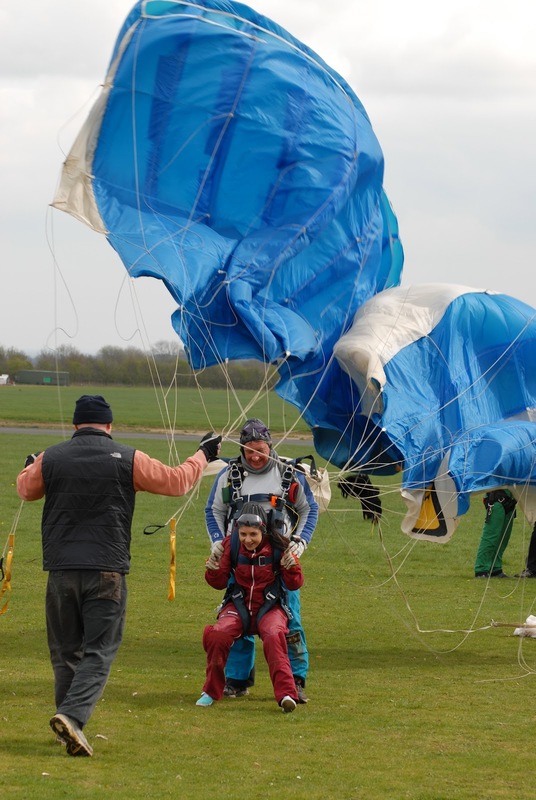 a word of wisdom: Restless Development Fundraiser: SKYDIVE! 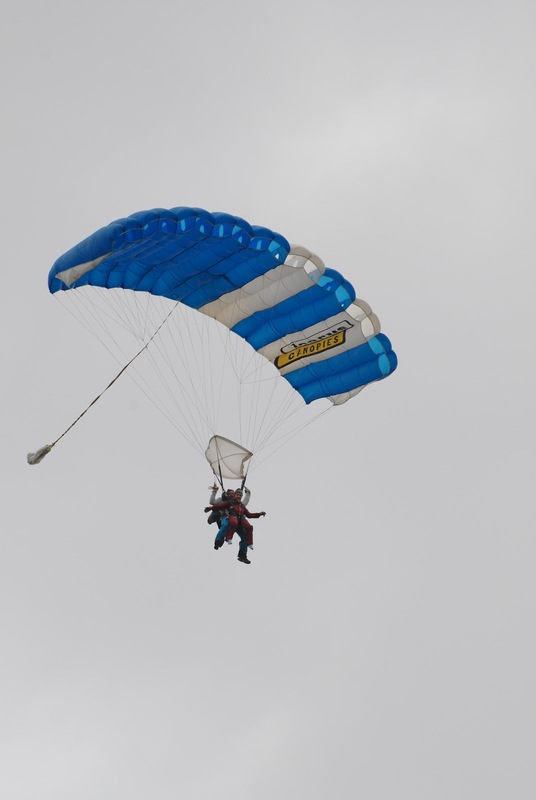 On the 6th of April, me & my other fellow volunteers going to South Africa, (inculding the only male in the group brave enough to jump - Michael) got prepared to complete our skydive! I had scheduled the skydive at 1pm and we'd all got there with plenty of time to spare. Some of us were more nervous than others, with some of us having no nerves at all, - I'm surprised at how relaxed I felt throughout the whole experience. There is still time to sponsor so please go to my JustGiving page and spare a little change! We completed the skydive at Hinton Skydiving Centre in Brackley, my tandem instructor being a very lovely man called Glen. After several jokes regarding my height and how small I am, the instructors told me I'd be going last as I'd take the longest to come back to ground - a longer experience wahey! We all jumped out the plane rather rapidly at 15000ft, freefalling, going through cloud, seeing the most perfect view, Glen even let me steer the parachute! Eventually we got to the ground and I landed perfectly with my legs at 90 Degrees sitting on the floor (like we were trained to)...even though Glen landed standing up, slightly embarrassing. I eventually got up though! However, I loved the experience and I would recommend it to everyone to complete one at one point - it's an experience like no other! & I'd like to repeat myself once more and send thanks to everyone who sponsored!